This herbal tincture is an anti-spasmodic and diffusive stimulate. Relieves muscular and visceral tensions in the body while vitalizing and equalizing the neurological force and the circulation of the blood and body fluids. Suggested in the treatment of any spasm including asthma, spasmodic croup, whooping cough, cramping, childbirth, convulsions, and epilepsy. Also indicated for lockjaw and hysteria. May also be applied externally to any type of swelling. Also beneficial for rheumatism, charley horses, etc. OS-3 comes in 1 oz. (30ml). Using 30 drops per day this bottle will last about 1 month. Preventive or Restorative: 7 to 15 drops in water, two to three times per day. Acute: 10 to 20 drops in water, three to five times per day. Topical application: Apply undiluted to unbroken skin. Large doses of Lobelia may cause nausea or vomiting. If you experience symptoms, discontinue use for a few days and then resume with a lower dosage. Not recommended for individuals with low blood-pressure, low vitality or a weak constitution. Many of the conditions listed above can be serious or even life-threatening. Seek the advice of a qualified healthcare practitioner. PLEASE NOTE: We use only Certified Organic and Wild-crafted herbs! 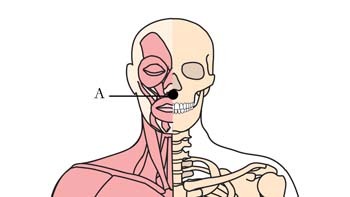 Location: Cell Point A is located between the nose and the upper lip. 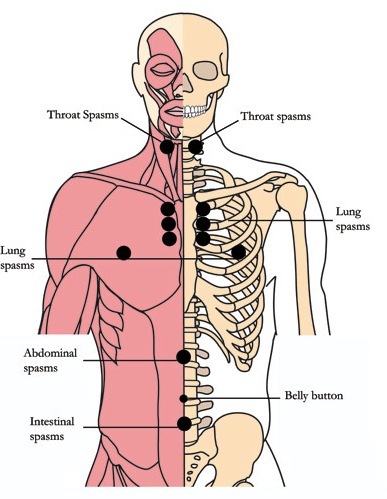 Benefits: This is an anti-spasmodic trigger point that releases cramps and spasms. 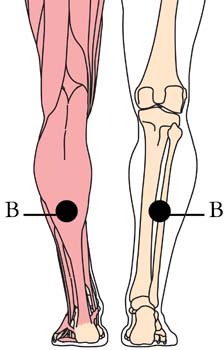 Location: Cell Point B is located in the center of the calf at the bottom of the muscle bulge. 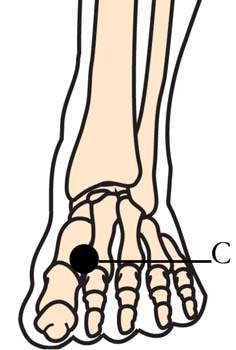 Location: Cell Point C is located on top of the foot in the valley between the big toe and the second toe. Application: Liberally apply Panther Juice to the areas and allow them to dry completely. Adhere Micro-Disks with Cell-Dotts. Duration: Start Cell Point application when you begin using OS-3. Continue wearing the Micro-Disks for two to three days after symptoms have cleared. Reapply at the first sign of imbalance. For Tachyon trained individuals, incorporating TLC Bars on the TLC balancing points below provides the ultimate treatment combination. TLC bars are reserved for Students of Tachyon Holistic Wellness courses or LWL courses.